What is Sodium Gluconate and what is it used for? Sodium gluconate is the sodium salt of gluconic acid and is produced by fermentation of glucose. 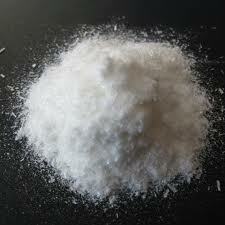 It is a white granular, crystalline solid which is very soluble in water. It is non corrosive, non toxic, biodegradable and renewable. It is resistant to oxidation and reduction even at high temperatures. The main property of sodium gluconate is its excellent chelating power, especially in alkaline and concentrated alkaline solutions. 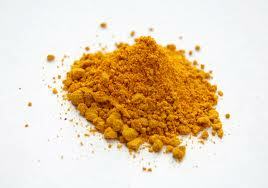 It forms stable chelates with calcium, iron, copper, aluminium and other heavy metals. It is a superior chelating agent than EDTA, NTA and phosphonates. In the field of medicine, it can maintain the balance of acid and alkali in the human body, and recover the normal operation of nerves. It can be used in the prevention and cure of the syndrome for low sodium. It can be used as a water quality stabilizer because it has excellent inhibiting capacity to scale. Sodium gluconate acts as a stabilizer, a sequestrant and a thickener when used as a food additive (E576). It is approved by CODEX for use in dairy products, processed fruit, vegetables, herbs and spices, cereals, processed meats, preserved fish etc etc. In the medical field,it can keep the balance of acid and alkali in the human body,and recover the normal operation of nerve. It can be used in the prevention and cure of syndrome for low sodium. Sodium gluconate is used as a chelating agent to form complexes with metal ions which can influence the stability and appearance of cosmetic products. Gluconates are added to cleansers and shampoos to increase the lather by sequestering hard water ions. Gluconates are also used in oral and dental care products such as toothpaste where it is used to sequester calcium and helps to prevent gingivitis. In addition sodium gluconate is added to deicing compounds like salt and calcium chloride which are corrosive. This helps protect metal surfaces from being attacked by the salts but not deterring from the salt’s ability to dissolve ice and snow. Safety phrase: S24/25– Avoid contact with skin and eyes. This entry was posted in Articles, Cleaning products, Construction, Gardening, Home cleaning, Laboratory, Personal care, Pets & Aquariums, pharmaceutical, Pure Chemicals, Water treatment and tagged 208-407-7, 527-07-1, NaC6H11O7, sodium gluconate chelating agent, sodium gluconate chelator, sodium gluconate complexing agent, sodium gluconate concrete water reducing agent and retarder, sodium gluconate corrosion inhibitor, sodium gluconate deicer, sodium gluconate electroplating and metal finishing, sodium gluconate fcc, sodium gluconate food additive stabilizer, sodium gluconate food grade, sodium gluconate msds, sodium gluconate sequestrant, sodium gluconate uses, where to buy sodium gluconate.